Software King in Blaine, WA, is a trusted online software store offering high quality brand name software that customers need at unbeatable prices. Software King’s digital download system enables customers to.immediately start using their new cheap software. 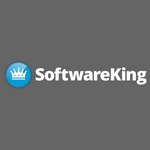 As a discount computer software, Software King’s software is offered at guaranteed low prices.